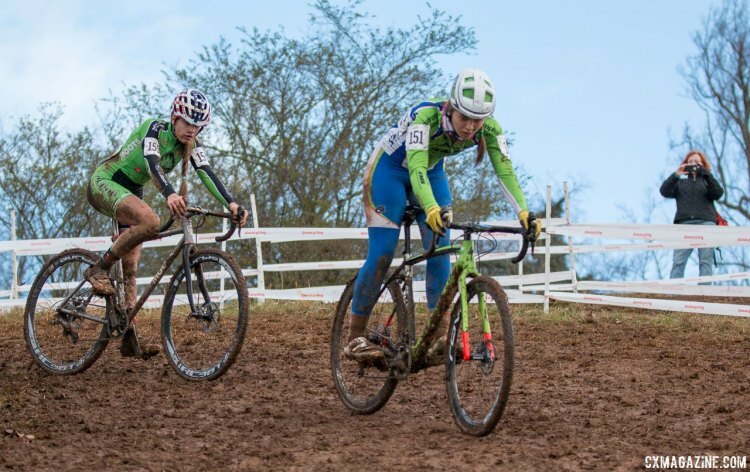 ASHEVILLE, N.C.—In the first race of the last day at the 2016 Cyclocross National Championships it was the Junior Women 15-16 that were the first to line up to take on the slick, muddy course on the grounds of the Biltmore Estate. 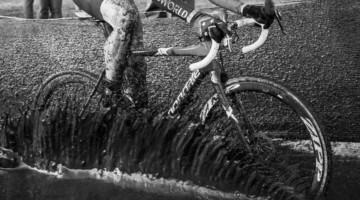 Overnight rain meant racers woke to thoughts of toe spikes and tire choices as lines that existed just yesterday vanished and new challenges presented themselves on otherwise familiar turns. 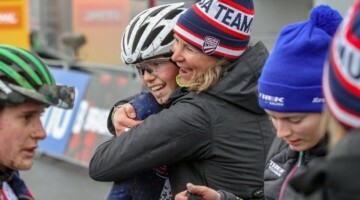 The riders most thought to take this year’s title were last year’s champion Turner Ramsay (KMS Cycling-Killington Mountain School) or Katie Clouse (Alpha Bicycle Co-Vista Subaru). And when the officials sent the riders barreling down the start is was Clouse who led the field through the first curve. Moments later though, Clouse was on her hip having fallen a few turns later, as racers rolled by. But she was up and racing quickly and was back at the front of affairs by the time the race passed the off camber leading to the Bike Barn for the first time. From that first half lap it was Clouse and defending champion Ramsay trading the lead and attacking each other. Ramsay had made her first pass back on the initial descent off of Ingles Heckle Hill, which most if not all riders crossed on foot at least part way. Being so heavy the course was yielding significantly slower lap times. 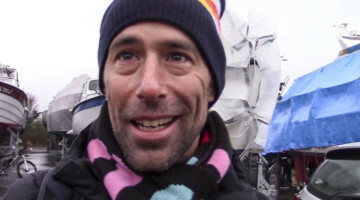 Ramsay led through on the first lap in 12:06 with Clouse 15 seconds in arrears and Petrsa Schmidtmann (Rage Cycling Team) in third a further 15 seconds back. 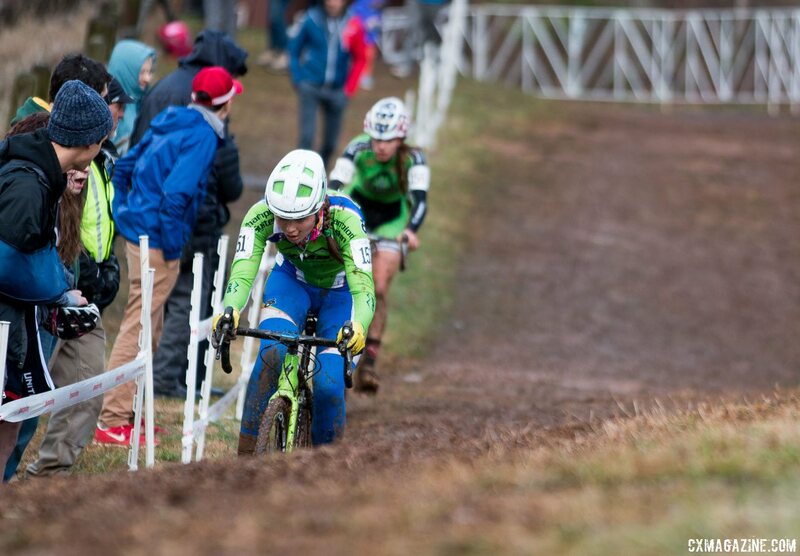 Given the slow speeds because of the heavy mud, the race would be a three lap affair. By the time the leaders got back towards the Bike Barn Ramsay was in front, but Clouse was clearly coming for her. And by the time the duo started the descent off Ingles Heckle Hill, it was Clouse on point with Ramsay chasing hard to try to close a growing gap. 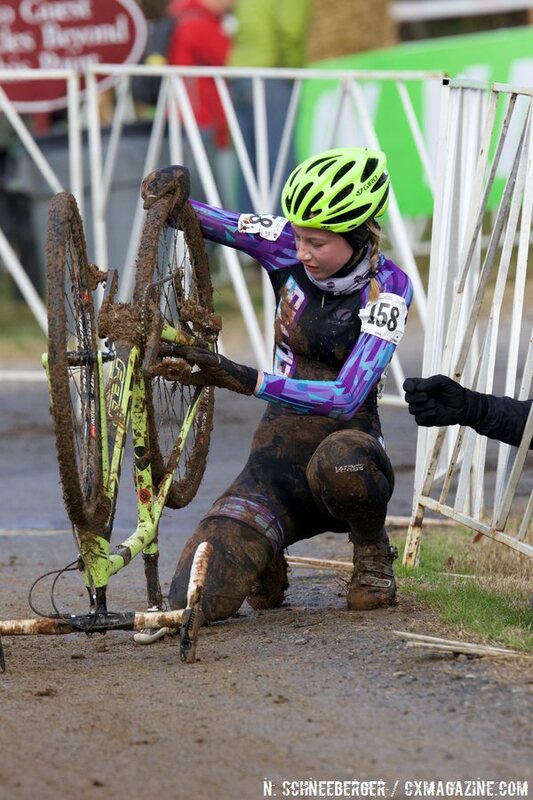 Riders were seen falling left and right in the slick mud and at least one rider, local racer Isabella Brookshire (TWENTY16 Devo p/b SHO-AIR) was seen running with a damaged bike. At the one to go mark Clouse had established a formidable and ultimately insurmountable lead of 1:01 with Schmidtmann a further :23 back. For Clouse it was a matter of keeping calm and limiting mistakes as she knew she was going to take the title. 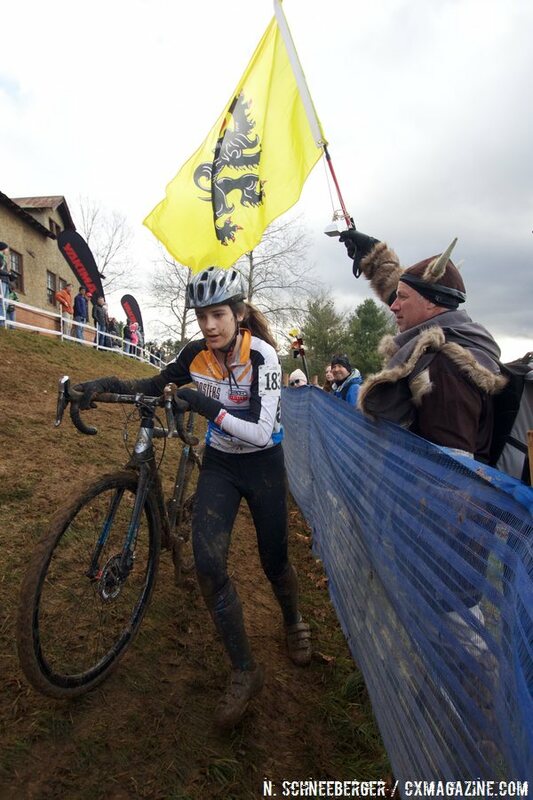 With a finish time of 36:34 she was the Junior Women’s 15-16 Cyclocross National Champion. 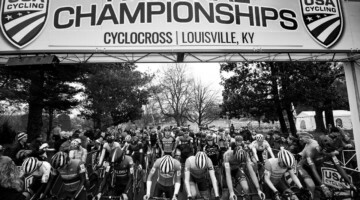 Behind Clouse, the reigning champ Ramsay settled for second with Schmidtmann taking third, Ellie Mitchell () earning fourth and Abigail Youngwerth (TWENTY16 Pro Cycling) taking the podium’s final spot. 1 Katie CLOUSE Alpha Bicycle Co.- Vista Subaru 36:34. 2 Turner RAMSAY KMS Cycling-Killington Mountain 37:55. 3 Petra SCHMIDTMANN Rage Cycling Team 37:56. 5 Abigail YOUNGWERTH TWENTY16 Pro Cycling 41:09. 6 Lillith AHRENS Evolution Jr. Devo Team 42:26. 7 Lily PECK Midwest Devo 42:53. 9 Grace SHEEHY Endorphin Fitness Juniors 45:27. 10 Lupine CRAMER Roosters Bikers Edge 46:00. 11 Madison ANNIS C3-Twenty20cycling.com 47:20. 12 Emily HOUSE Florida DEVO 47:44. 13 Morgan FORTIN High Desert Bicycles Team 48:04. 14 Hayden GIZINSKI Cycle U 48:07. 15 Ella NEUROHR Chicago Cuttin Crew 48:34. 16 Rosemary MORRISSEY Boulder Junior Cycling 49:40. 17 Annamaria MCHUGH Rock Creek Velo 49:48. 18 Anna SAVAGE Cannondale Sports New England 50:04. 19 Abbey OBRIEN Devo Dirt Militia p/b Midwest C 34:59. 20 Uma GUPTA Rock Creek Velo 35:29. 21 Grace BISHOP Evolution Jr. Devo Team 35:29. 22 Riley GALLAGHER Evolution Jr. Devo Team 35:33. 23 Sagada PENANO The Bike Lane 36:17. 24 Sophie KNOWLES Matrix/RBM 36:26. 25 Lexi CHRISTIE Endorphin Fitness Juniors 36:57. 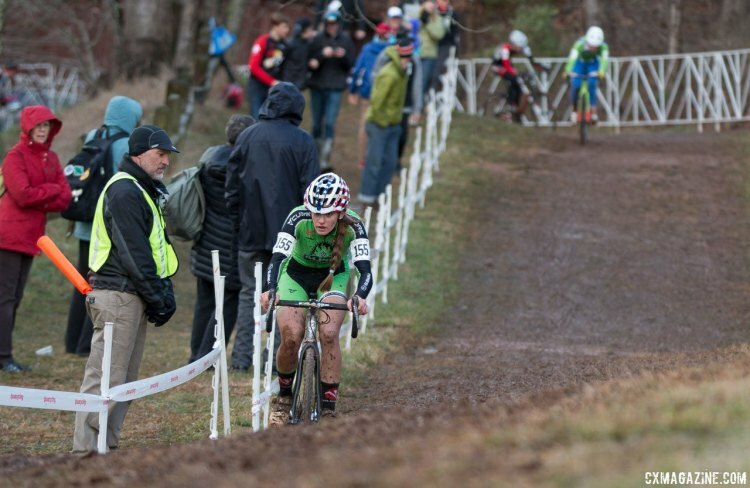 27 Isabella BROOKSHIRE TWENTY16 Devo Presented by SHO- 39:13. 28 Grace HETZEL Les Amis/Up State Junior Cyclin 44:49. Congratulations Katie Clouse! So rad! Jodi .. Your daughter is a rockstar! You should be so proud!! Congratulations katie. Awesome job. Your hard work and determination has paid off. We are so proud of you.